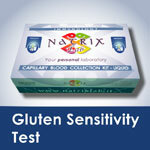 The Celiac Test is a highly sensitive and specific test to identify positivity for celiac disease. In the past the only way to diagnosis celiac was a biopsy of the duodenum tract. 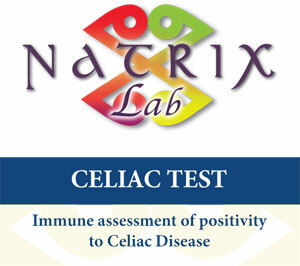 Developing tests, like the NatrixLab Celiac Test, has enabled defining the silent form and the potential form of celiac disease, avoiding biopsies in dubious cases that were then proved negative. 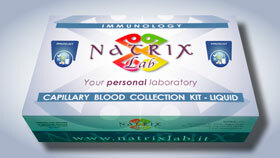 However, a biopsy is the invasive and necessary final diagnostic exam to diagnose celiac disease. For each person with correctly diagnosed celiac disease, there are at least seven who are not diagnosed: in Europe it is estimated that one person every 100 suffers from celiac disease. You have intestinal symptoms, like diarrhoea, abdominal pains, meteorism. You have extra-intestinal symptoms, like anaemia, chronic tiredness, vitiligo, aerate alopecia, psoriasis, deficiency of trace elements and other nutrients. You do not have any symptoms but suffer from other autoimmune disorders, or if there is someone with celiac disease in your family. You have lost a lot of weight for no apparent reason. Children have development problems, late growth, low stature, late puberty and defects in dental enamel in their final teeth. If you result positive, the only possible treatment at the moment is a strictly gluten free diet: this way not only do the symptoms rapidly disappear (a couple of months), but you will also be able to prevent other complications developing such as autoimmune disorders or chronic inflammations. 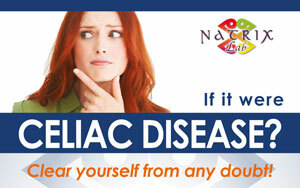 Celiac disease is not dose dependent, and just a very small amount of gluten is enough to trigger the symptoms. Gluten is not just found in pasta, pizza, bread, etc. : it is also used as a thickener in several food preparations, it is used in certain types of charcuterie, in beer and whisky, also in certain drugs. You have started a gluten free diet and want to see if it is obtaining the required results. There is somebody who has celiac disease in your family (first level relatives of celiac patients have a 10-15% higher risk than average of developing the disease). Thomas HJ, Ahmad T, Rajaguru C, Barnardo M, Warren BF, Jewell DP. Contribution of histological, serological, and genetic factors to the clinical heterogeneity of adult-onset coeliac disease. Scand J Gastroenterol, 2009;10:1-8. Knoff Martin F. Celiac disease: pathogenesis of a model immunogenetic disease. The journal of clinical investigation vol. 117 Number 1 January 2007. 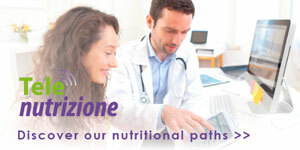 AGA Institute Medical Position Statement on the Diagnosis and Management of Celiac Disease. Gastroenterology 2006;131:1977-80. P. Binetti, M. Marcelli, R. Baisi “Manuale di nutrizione clinica e scienze dietetiche applicate” Edizione SEU.